Spoil an aspiring little baker with this Banana Chia Crumble kit. 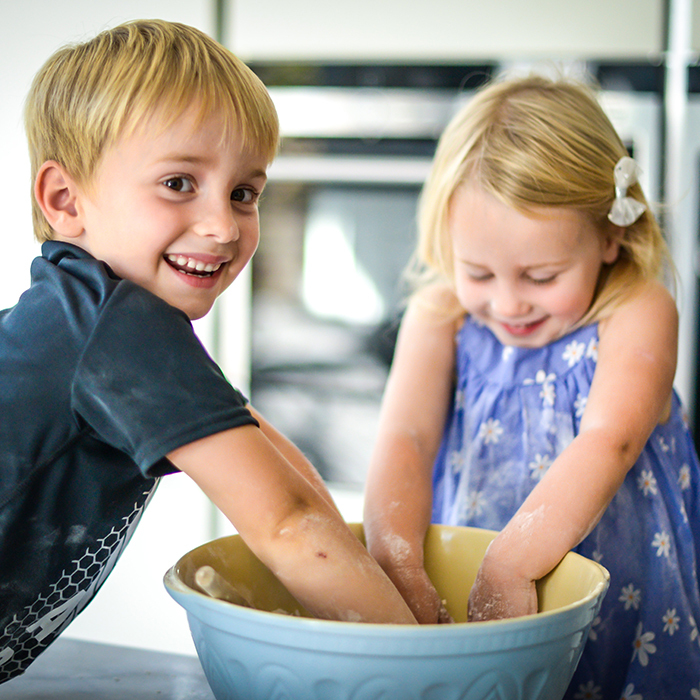 Each baking kit is personalised and delivered to the child to make a fun and unique gift or activity.Please write in the name and age of the recipient, and attach a gift message using the options provided. PlayBakes recipe kits are healthier versions of traditional bakes, keeping refined sugars to a minimum by using innovative fruit and veg ingredients. Specially designed for kids to do most steps independently! Each recipe is carefully illustrated and designed to give kids hands-on learning they will love and delicious creations they'll be proud of. Kits contain all the dry ingredients you need plus activity and recipe cards. All perfectly portioned in biodegradable packaging. Very easy, all the home-ingredients ever needed are milk, eggs or butter. With a shelf life of at least 2 months, so you can bake when is convenient. If the gift is being timed for a birthday, please note that single gift boxes are dispatched via second class Royal Mail, within 2 working days of the order being placed. Self Raising Wheat Flour (contains raising agents: mono-calcium phosphate, sodium bicarbonate and statutory nutrients: calcium carbonate, iron, thiamine, niacin), Sugar, Freeze-dried Banana, Chia Seeds, Vanilla. My 6yr olds face when he saw he has post was an absolute picture! The kids loved making this bake! We have just made the mince pies and they were really yummy. We have just made the mince pies and they were really yummy. The mincemeat filling was so tasty and much healthier than the usual filling and we would love to make it again! Alice is only 2 but she did really well and it turned out really nicely! 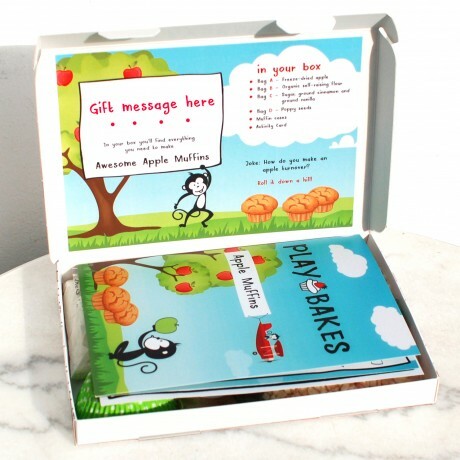 Baking activity kits, specially designed for kids.